Gardening can be a lot of fun! Rightly said by Alfred Austin “The glory of gardening: hands in the dirt, head in the sun, heart with nature. To nurture a garden is to feed not just on the body, but the soul”. The process not only results in a peaceful mind but has a significant number of other added benefits too. The major one being – you are less exposed to the products grown with pesticides and chemicals. That means you consume higher nutrient content with organic farming. If you are excited to start gardening then you should not delay it by a second because we have provided with some cool and easy gardening tips and hacks. 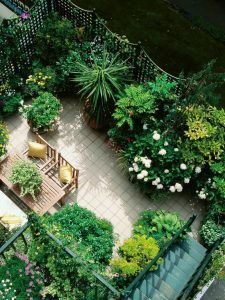 The task might seem a little tedious if you aren’t acquainted with the art form initially but don’t worry let’s Go Green with these ten simple yet useful gardening tips which will turn your yard into a beautiful and soothing area. It will not happen in a day. Gardening is a trial and error process which can take from days to months to years. So our little piece of advice is that don’t be impatient. You need to relax! 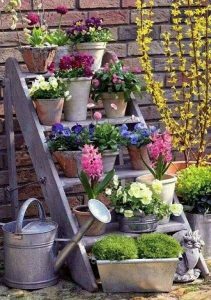 In a hurry, if you have mistakenly over-watered those tiny little plants then my dear friend you have certainly ruined the entire process and might have to re-start again from scratch. And I am sure you wouldn’t like that. Proper maintenance is the key here so monitor daily because it will be rewarding as well as prove to be fruitful at the end. Follow this simple mantra! Consistency is an important aspect of the process. Make sure ample amount of water is been given to the plants. In case of newer ones, water them frequently because their roots and system aren’t developed as compared to the older ones. Best time to water the plants? Early mornings! Ditch that laziness and get up from your bed because your plants are thirsty. When it is cool early morning then water runs down the soil and reach the roots of the plant without too much excess water loss due to evaporation. Science plays a role everywhere you see! Home testing kits are available at gardening stores or online where you can find relevant stuff to test the pH of your soil. This is mandatory because the result will explain you about the nature of the soil. Depending on the acidic or alkaline nature, your plants will absorb the nutrients. The optimal pH range for most plants is between 5.5 and 7.0. However, many plants have adapted to thrive at pH outside the given range. Not just pH, you also need to identify its texture. Sands, Silts, Loams, and clays are different forms. The healthy one requires correct proportions of all four. Knowing about your climate, temperature, and sun exposure can prove to be helpful if you are a naïve in this field. Not everything grows everywhere so, grow what grows in your region. Like people plants have their types too. Some like to grow in summers while some might love coming up in winters. A small research before beginning can prove to work wonders for the plants you’ve thought of growing. 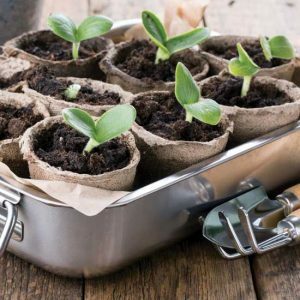 We believe in reusing and recycling things and thus those old toilet papers can be transformed into seedling starters for your garden area. Isn’t it a great idea to make your own biodegradable mini-planter? It’s time to show your creative sides. A lot of DIY videos are available too which might help you make your mini-planters. 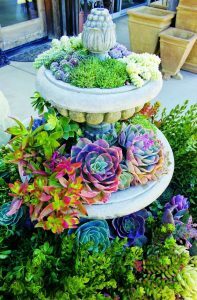 Also, you can turn an old bird bath for succulent plants or maybe wine bottles for a gradual water supply. Let’s be real! Fertilizers are really very expensive. Instead of buying these why not make your own organic garden fertilizers! Plants need three basic nutrients, nitrogen for leaf and green growth, phosphorus for flowers and fruit and potassium for the general health of the plant; apart from other nutrients. Depending upon the nature of your soil you can make coffee ground fertilizer to increase the acidity of the soil, banana peel for flowering and fruiting plants, eggshell fertilizer to provide good cellular growth etc. Don’t let those pests, beetles, aphids, worms destroy your hard work and sweat you’ve put in for days and months. Do a regular checkup and pest control for kicking those unwanted insects out of your garden space. You may go for natural pest control which is cost efficient, safe and effective too. When planting is mixed, pests are less likely to spread and infect the crop. Protect your plants with milk jugs. Using them can work like a charm on tomatoes, squash, cucumbers or plants that can’t handle cold. 3. 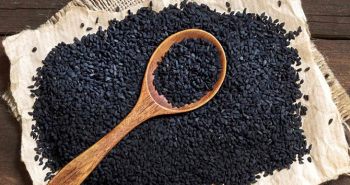 Ever tried seed shopping? This is probably the best part! Maintain a gardening budget and go online or watch out for nurseries where you can buy seeds. 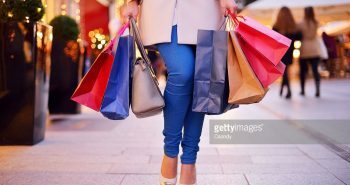 Pen down your favorites on a piece of paper and start searching for them at the best prices. Make sure you buy only those which are easily grown in that current environment. To recommend a few try with lettuce, tomatoes, potatoes, etc. Try with a small space which will not just help you gain confidence but also help you master the art form bit by bit. Best plant for beginners include vegetables like leaf lettuce, radishes, and climbing peas. 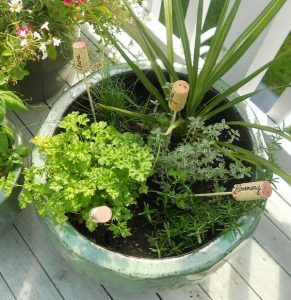 Herbs include basil which loves warm weather, rosemary (a Mediterranean herb) and chives which requires no special treatment. If you are fond of flowers like me then you should probably start with Marigolds, fuchsias, Californian poppy, zinnias, or cosmos. In order to name the plant you’re growing, you would require some means to write it somewhere. You definitely can’t use a paper and hang it because of obvious reasons. So what’s next? If you are an avid wine drinker then retain those corks, write them with marker and peg them in the soil near the plant to which it is associated with. This will not just organize things but also help you with further detailing of that particular plant. You can easily keep a check on it. Other ones can be wire coat hangers, chopsticks or bamboo skewers. Did you like the above tips and ideas for gardening? We hope you’d be taking this as a hobby? So, discover the joy of playing with dirt while creating a soothing garden space and let us know your views in the comment section below. Keep following us for more such listicles!